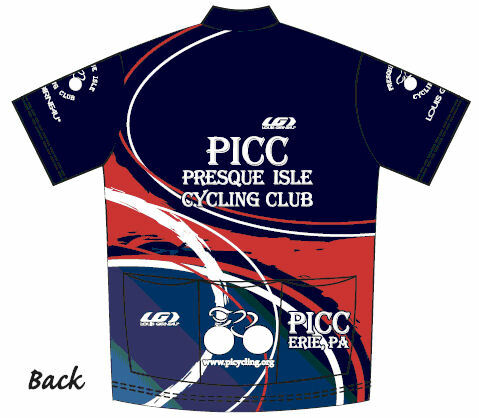 Join us and follow the Presque Isle Cycling Club on Facebook If you have a Facebook sign-in then visit the PICC page and gain another source of club news and events reminders. For our first of our Winter Speakers series, on Monday, November 9th we will welcome Pat Davis talking about her recently completed Ride Across Pennsylvania. 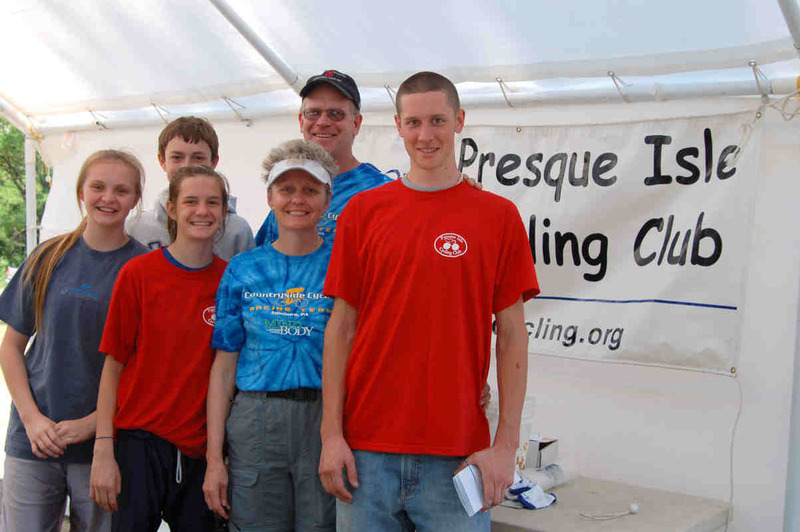 Pat has been involved in fitness and is well known as organized of the Edinboro and Presque Isle triathlon's and the Swim Across the Bay. Members and guests are welcome to join us at 7:00 pm. The Wednesday night rides have finished for this year. Watch 2010 for the return of these popular show and go training rides from the Edinboro University Parking on Perry Lane. 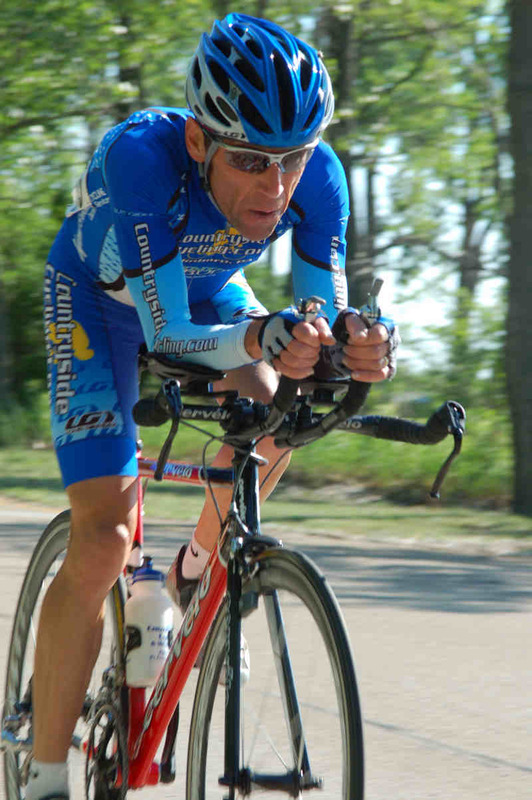 The 2009 Rick Gorzynski Time Trial, a Fathers Day tradition, final results are posted and available for downloading on the Events & Results page. Sponsors are important to the success of this event as well as a big thank you needs to go out to all the volunteers needed to make this event happen. 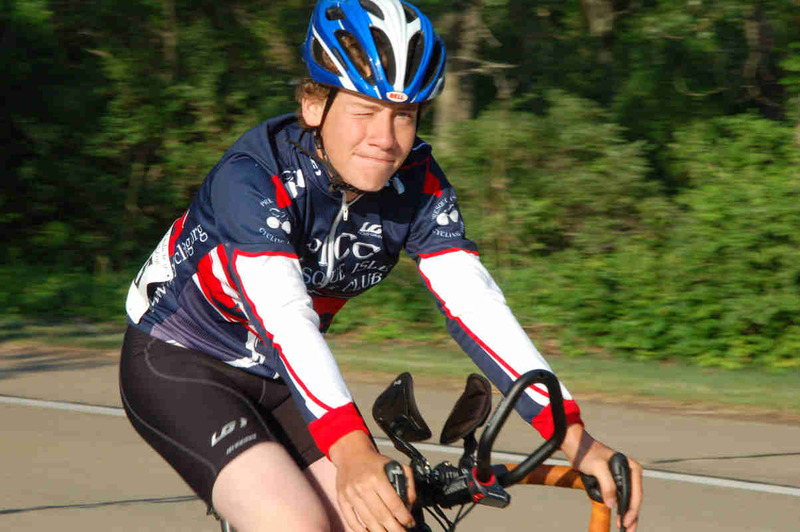 The weekly Peninsula rides are wrapped up again at Presque Isle State Park for this year. Meetings of the PICC are held the second Monday of each month starting at 7:00 PM. The location for the Winter Speakers Series is now Max and Erma's Restaurant, Interchange Rd- between I-79 Kearsarge Exit and the Millcreek Mall. 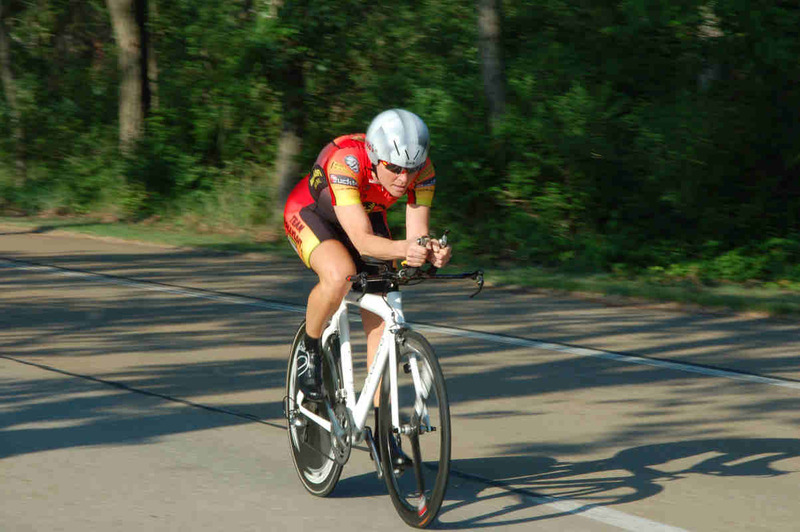 With May and the cycling season, the board meetings return to Walker Properties, 2820 W. 21st St. (Ebco Park) -off Peninsula Dr. and W. 23rd St. The board meetings are primarily a business meeting, but are open to all members and guests. Show off your style! 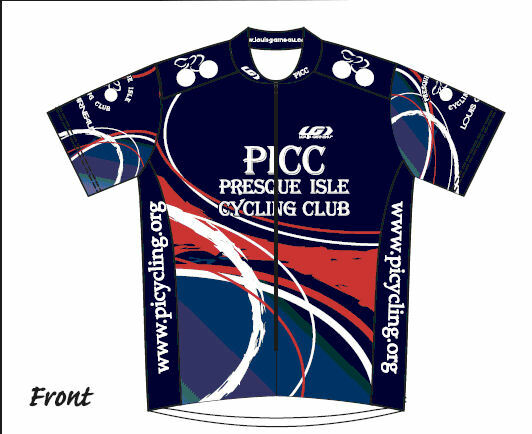 The club has jerseys and socks available for purchase. The jerseys are available in sleeveless and short sleeve (limited sizes only), and long sleeve styles (most sizes still available). These Louis Garneau customized jerseys are top quality and very comfortable. 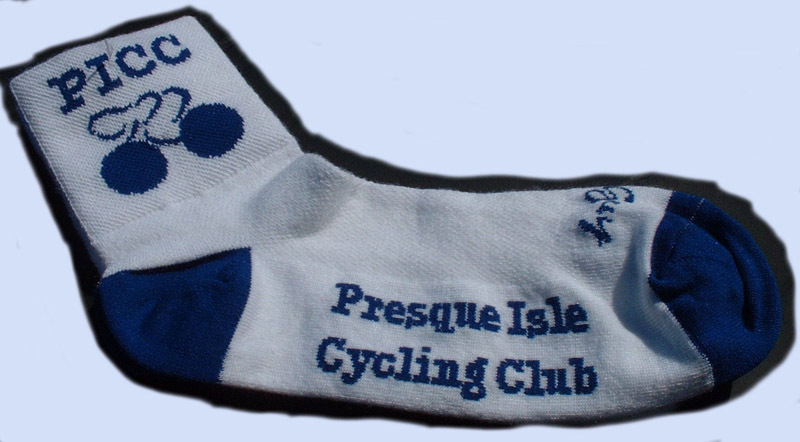 The PICC socks are white and blue with small (5- 9 shoe) only are still available.